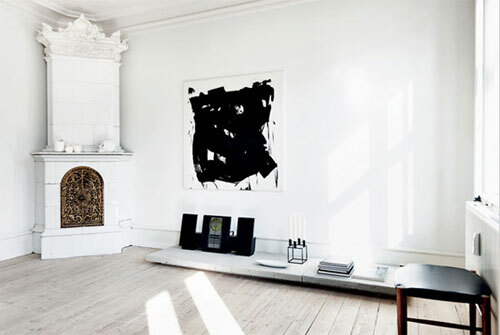 This gorgeous penthouse located in Copenhagen if filled with classic furniture with some edgy details and graphic lines. 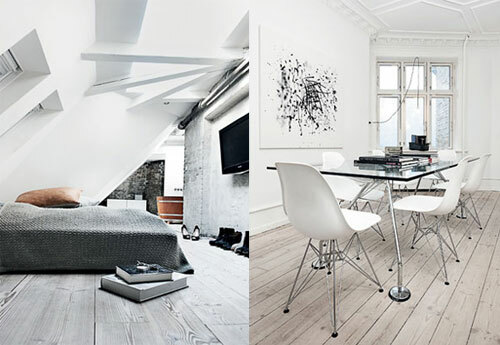 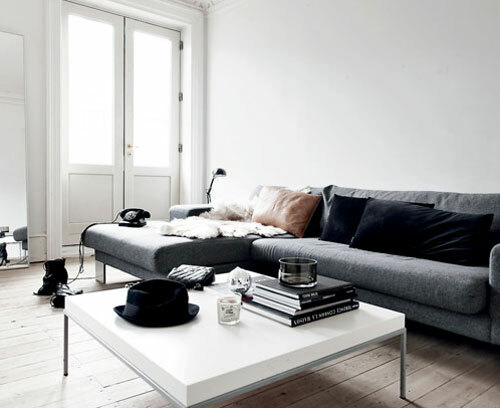 Industrial feel, raw simplicity, understated color scheme… What’s not to love!? 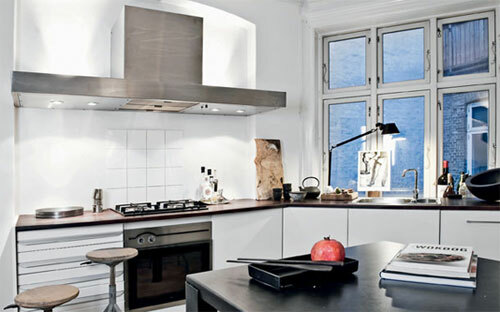 We also really like how everyday objects (such as shoes) become an integral part of the design.